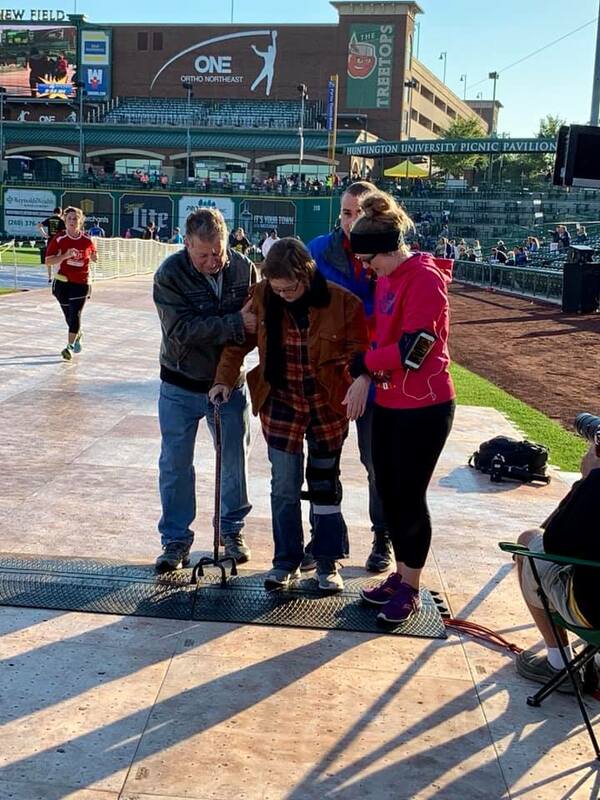 This story, provided by WANE 15, highlights Kristin Cohee's journey throughout her mom's recovery from illness, and how her mom inspired her to sign up and train for the 2018 10K. Last year on September 29, 2017, Kristin Cohee's mother had a heart transplant, and then a stroke. This year, Fort4Fitness falls on September 29, 2018. When Kristin found out the date was her mother's one year anniversary of the procedure and stroke, she knew she had to sign up to run the 10k. Kristin has learned perseverance from her mother's year of recovery. That's where she gets the motivation to cross the finish line. Kristin said about her mom, "She's going to be waiting for me at the finish line, and I'm so excited and honored to have her cross the finish line with me. She's going to meet me with her wheelchair, and then using her cane she's going to cross the finish line with me." Kristin is a mother to two daughters herself, and she says they have learned the lesson of perseverance from their grandma as well. The Cohee family already has their next 2k run planned to run as a family. Kristin's husband and two daughters will be doing the shorter run together in the coming months.